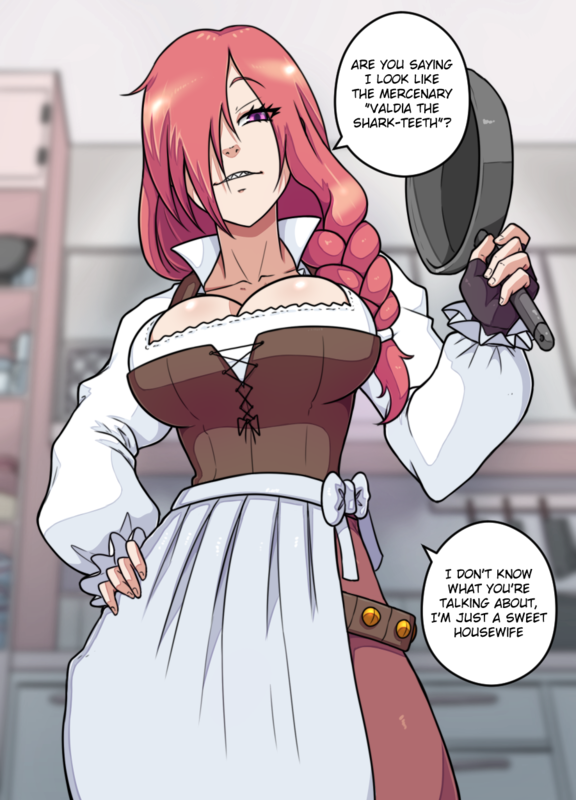 Valdia, the Kazan’s Mom. 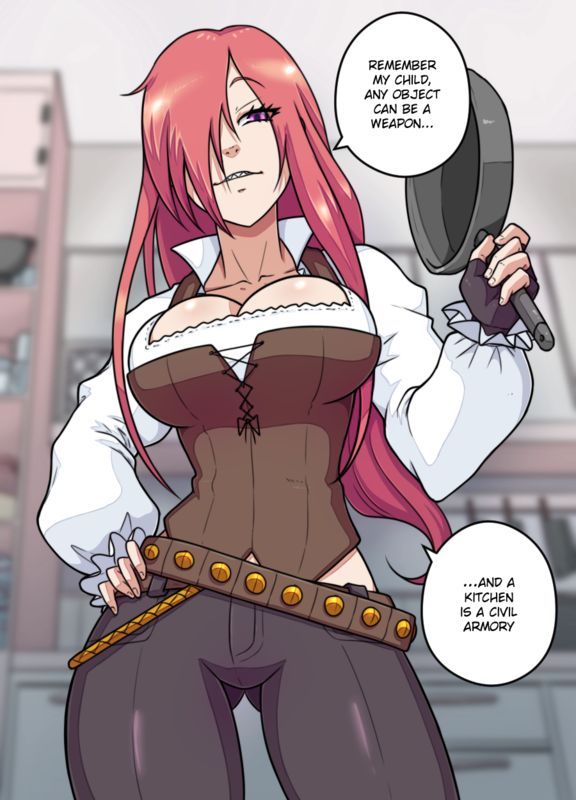 She likes to fight with improvised weapons (such as pens, pots, cutlery, clothes, chairs, doors, broom, etc.). She was a “magem warrior” (they use combat magites). In Itheriont, when you abuse magic … you suffer mutations. The typical thing is a change in the color of the hair or eyes to an unnatural one, but the more abuses, the more changes… like shark teeth. In a world where the monsters is hated and feared, these people are… uncomfortable.